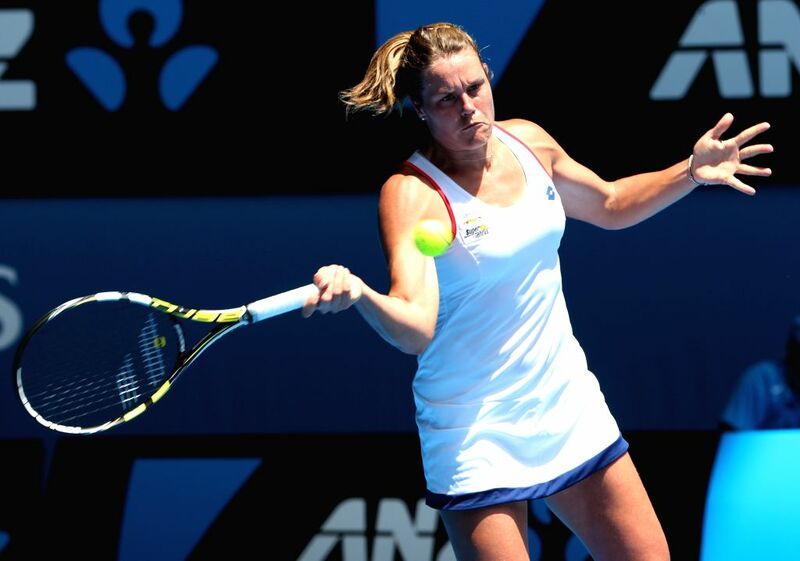 MELBOURNE, Jan. 19, 2015 - Karin Knapp of Italy hits a return during the women's singles first round match against Simona Halep of Romania at the 2015 Australian Open tennis tournament in Melbourne, Australia, Jan. 19, 2015. Simona Halep won 2-0. Simona Halep of Romania hits a return during the women's singles first round match against Karin Knapp of Italy at the 2015 Australian Open tennis tournament in Melbourne, Australia, Jan. 19, 2015. Simona Halep won 2-0. 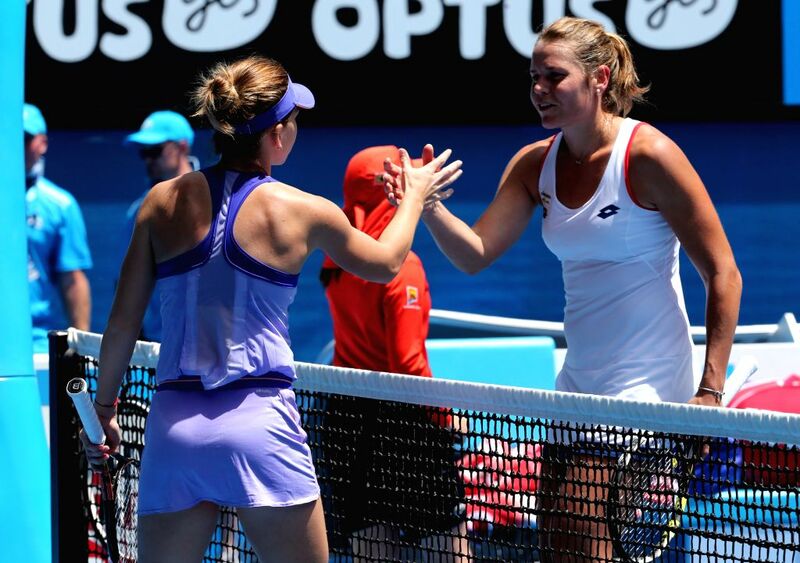 Simona Halep (L) of Romania shakes hands with Karin Knapp of Italy after the women's singles first round match at the 2015 Australian Open tennis tournament in Melbourne, Australia, Jan. 19, 2015. Simona Halep won 2-0.